Jane S. Shaw (Chair) joined the Martin Center in 2006, when it was still named the Pope Center. She was president of the center from 2008 until 2015, when she retired. Before joining the Martin Center Center, Shaw spent 22 years with PERC, the Property and Environment Research Center in Bozeman, Montana, where she was a senior fellow. Previously, she was a journalist and was an associate economics editor of Business Week before she joined PERC. 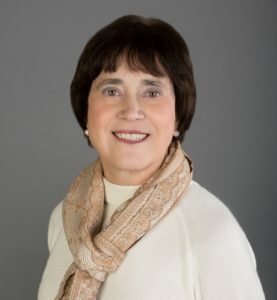 With Michael Sanera, she coauthored Facts, Not Fear: Teaching Children about the Environment (Regnery) and initiated a book series for young people, Critical Thinking about Environmental Issues (Greenhaven Press). She coedited A Guide to Smart Growth (Heritage Foundation) with Ronald Utt. Shaw is a member of the Board of Visitors of Ralston College, a trustee of the Philadelphia Society, and a past president of the Association of Private Enterprise Education. She is married to economist Richard Stroup. John M. Hood (Vice Chair) is president of the John William Pope Foundation, a private grant-making foundation in Raleigh, North Carolina, and chairman of the John Locke Foundation, a nonprofit think tank, which he headed for 20 years. Hood is a syndicated columnist on state politics and public policy for numerous North Carolina newspapers. He is a regular radio commentator and a weekly panelist on the statewide television program NC SPIN. 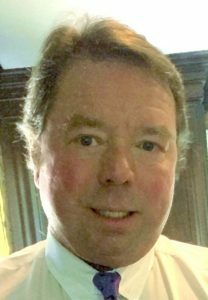 He is the author of seven books on politics, history, and economics and writes a monthly column for Business North Carolina magazine. His latest book is Catalyst: Jim Martin and the Rise of North Carolina Republicans (2015), a biography of the former North Carolina governor for whom the Martin Center is named. (Jim Martin is also a Martin Center board member.) Hood graduated from the School of Journalism at the University of North Carolina at Chapel Hill. He currently resides in southern Wake County with his wife Traci, sons Alex and Andrew, and stepdaughter Jerri. David W. Riggs (Treasurer) is associate director of university investments at the Charles Koch Foundation. He was previously vice president of philanthropic strategy at the Philanthropy Roundtable of Washington, D.C. Prior to his time at Philanthropy Roundtable, he was vice president of operations and programs at the John William Pope Foundation. Riggs also served as an environmental program officer at the Charles Koch Foundation in Washington, D.C. He has held senior fellow positions at the Capital Research Center, the Competitive Enterprise Institute, and the Center of the American Experiment. He earned his bachelor’s degree at the University of North Carolina at Wilmington and his Ph.D. in applied economics at Clemson University. He has taught economics at George Mason University. J. Edgar Broyhill (Secretary) is president and managing director of the Broyhill Group, an investment banking company in Winston-Salem, North Carolina. He is a trustee of Appalachian State University, with which his family has had a long association. In 2004, he ran unsuccessfully as a Republican for the 5th district congressional seat, representing Statesville, Mount Airy, and Boone. He is a trustee of the Broyhill Family Foundation. Arch T. Allen is a retired Raleigh business lawyer. Until he retired in 2016, he was chairman of the board of the Martin Center. 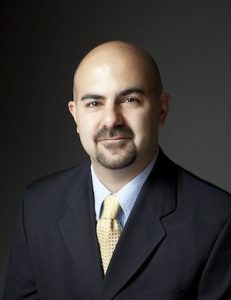 He received his bachelor of science degree and his Juris Doctor from the University of North Carolina at Chapel Hill, where he was editor-in-chief of the North Carolina Law Review. He then received a direct commission in the Judge Advocate General’s Corps, United States Army Reserve, and served on active duty for three years, including one in Vietnam with the 25th Infantry Division as the prosecuting trial counsel for general courts martial. At the end of his tour of duty there, during the 1968 Tet attacks, he was awarded the Bronze Star for Meritorious Achievement. He was a member of the UNC-Chapel Hill Board of Trustees from 1989 to 1991, when he resigned as a trustee and as a partner in Moore & Van Allen to become vice chancellor for development and university relations at UNC-Chapel Hill during the University’s bicentennial campaign. He returned to law practice in 1996 and co-founded the Raleigh law firm Allen, Moore & Rogers. 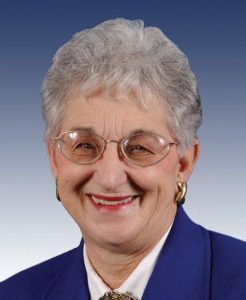 Virginia Foxx was elected to Congress in 2004 from North Carolina’s 5th congressional district and is currently chair of the House Committee on Education and the Workforce. She previously spent 10 years in the North Carolina Senate. She is a graduate of the University of North Carolina at Chapel Hill, where she received her A.B. degree in English and her M.A.C.T. in sociology. She has an Ed.D. in curriculum and teaching/higher education from the University of North Carolina at Greensboro. Foxx taught at Caldwell Community College and was a sociology instructor at Appalachian State University, where she also held several administrative positions. Foxx served as deputy secretary for management in the North Carolina Department of Administration during the governorship of Jim Martin. She also served as president and later as consultant at Mayland Community College. 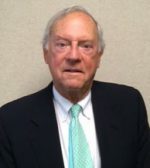 Burley Mitchell, Jr. For more than 30 years, Justice Mitchell has served both as an advocate and judge in handling landmark cases in North Carolina and elsewhere in the United States. After retiring as chief justice of the North Carolina Supreme Court, he joined the Raleigh law firm Womble Carlyle Sandridge & Rice, LLP to head its appellate advocacy and government relations groups. He recently retired from Womble Carlyle. As a judge, Mitchell wrote 484 appellate decisions for the Supreme Court of North Carolina and the North Carolina Court of Appeals. He has repeatedly been voted one of the best commercial litigation, appellate law lawyers and “bet-the-company” litigation lawyers in North Carolina, as published in Woodward White, Inc. Best Lawyers in America. In 2007, he received the North Carolina Award for Public Service, the state’s highest civilian honor, and the North Carolina State University Alumni Association’s College Meritorious Service Award. 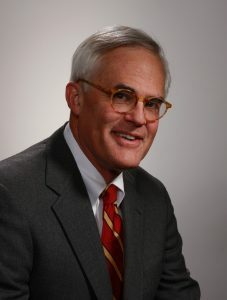 Among many other public service activities, he served on the University of North Carolina Board of Governors from 2009 to 2013 and on the Board of Trustees of North Carolina State University from 2005 to 2009; he was president of the North Carolina State University Alumni Association from 2004 to 2006. James G. Martin served as governor of North Carolina from 1985 through 1993, following six terms as a member of the U.S. Congress. The James G. Martin Center for Academic Renewal is named for this public servant. He was the first elected official to receive the Charles Lathrop Parsons Award, which is given by the American Chemical Society for outstanding public service by an American chemist. He was a corporate vice-president of Carolinas HealthCare System and later a member of the North Carolina government relations practice of McGuire Woods Consulting in Charlotte, North Carolina. Martin began his career as an educator, earning a Ph.D. in chemistry from Princeton University and later teaching chemistry at his alma mater, Davidson College. 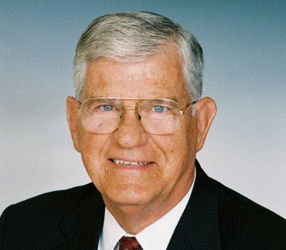 He also served for three terms as a Mecklenburg County commissioner. Dr. Martin’s recent public service has included conducting an analysis of courses at the University of North Carolina at Chapel Hill to determine the extent of academic anomalies. Robert L. Shibley, executive director of the Foundation for Individual Rights in Education (FIRE), is a native of Toledo, Ohio, and a graduate of Duke University and Duke University School of Law. As an undergraduate, Robert served as the managing editor of the Duke Review newspaper, which frequently decried (and faced) administrative censorship and bias. Indeed, the newspaper was so disfavored by the Duke administration that it alone was not permitted in the bins provided for all other Duke undergraduate publications. This experience led him after law school to a career defending the rights of college and university students and faculty members. Robert is FIRE’s second longest serving employee, having started in 2003 as a program officer for what would become the Individual Rights Defense Program. 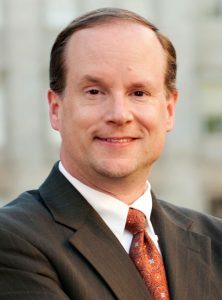 As executive director, along with traveling to various campuses to speak about First Amendment issues, Robert has represented FIRE publicly on “Fox and Friends” and “Stossel,” as well as on CNN’s “Lou Dobbs Tonight,” in national and international radio and TV interviews, and in published editorials in USA Today, New York Post, Boston Globe, National Review, and other newspapers. Robert and his wife Araz live in Apex, North Carolina, with their two daughters, Grace and Cecily. Garland S. Tucker, III is retired chairman/CEO of Triangle Capital Corporation. 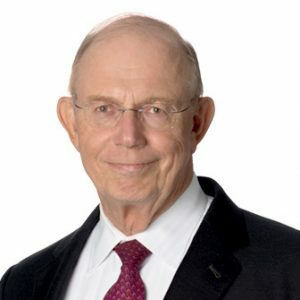 Prior to founding Triangle Capital Corporation, Tucker co-founded and then led the sale of First Travelcorp, a corporate travel services company. Preceding his tenure at First Travelcorp, Tucker served as Group Vice President, Chemical Bank, New York, and spent a decade with Carolina Securities Corporation, serving as President and Chief Executive Officer. Tucker serves on a number of private company boards as well as trustee of several non-profit institutions, including Trinity School for Ministry (Pittsburgh), the Calvin Coolidge Presidential Foundation, and the Civitas Institute. A life-long student of history, he is the author of The High Tide of American Conservatism: Davis, Coolidge and the 1924 Election, and Conservative Heroes: Fourteen Leaders Who Changed America – Jefferson to Reagan. Tucker is a graduate of Washington & Lee University and Harvard Business School. He and his wife Grayson live in Raleigh. They have two daughters and six grandchildren.